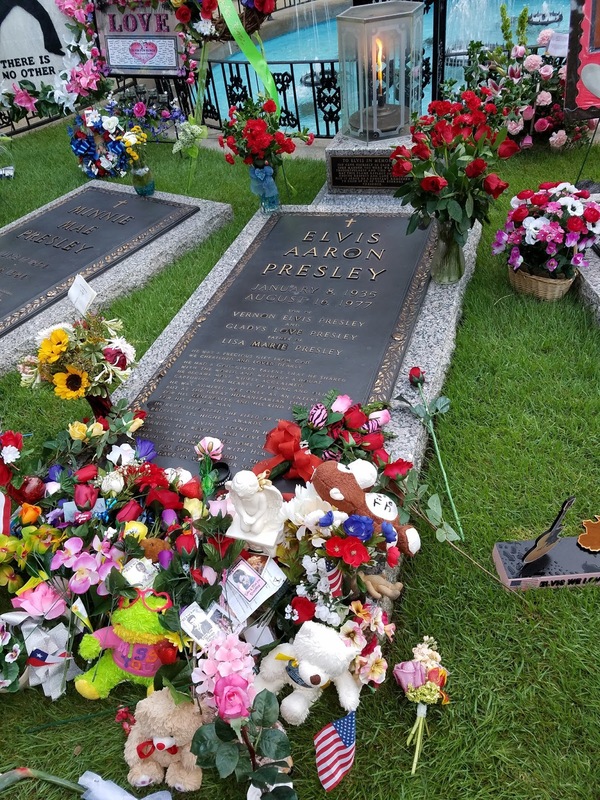 Elvis Presley lives in Memphis – in the hearts of his loyal fans who journey to Graceland to remember him. 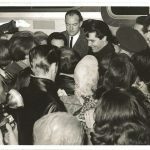 Although Elvis Presley passed away on August 16, 1977, his presence is still felt by longtime fans and he continues to attract, in great numbers, new and young fans as well. 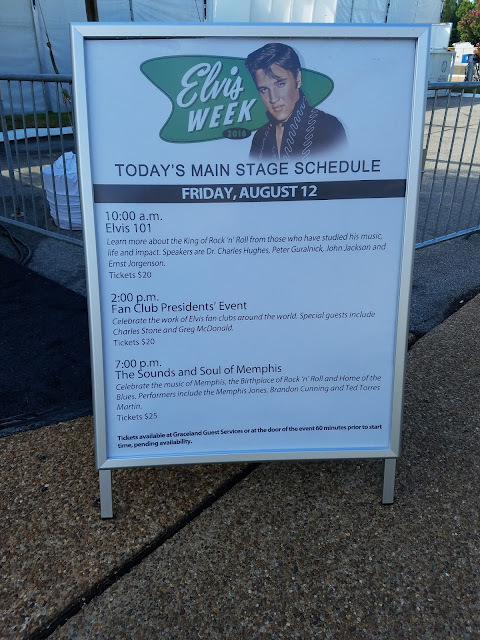 This Elvis Week drew many fans,although some stayed at home, saving up for the big anniversary next year – the fortieth! 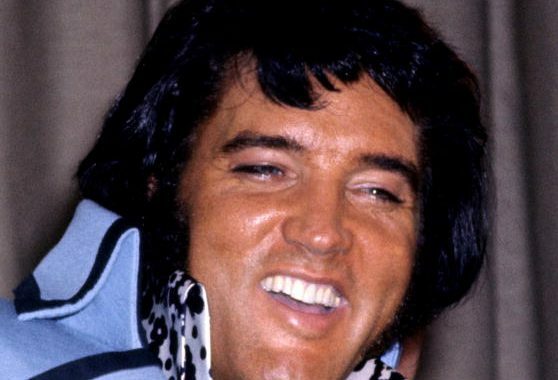 Can it really be forty years since Elvis left this world? You could never tell in the enthusiasm of his fans that gathered for events at his home. So much was going on that I wasn’t able to do all that I had wished to do. This writer avoids the tent set up which features Elvis impersonators though. I would walk by and hear many hit bad notes and since I am not tone deaf, I will pass on that. There is no doubt that many ETA’s (Elvis Tribute Artists) are sincere, some are nice guys, some are friends, others almost seem to think they are Elvis. I prefer the real Elvis. I have the right to criticize, because at one time, I was an ETA, but I preferred the title “Elvis Illusionist”, I would rather give the illusion that someone may think for a split second, it could be Elvis himself. I hung up my jumpsuit when I hit 40 years old, it was fun for a time, it’s like the saying, “Been there, done that.” I have. There’s nothing like the real thing, Elvis Himselvis. It may be fun for others, but not me. 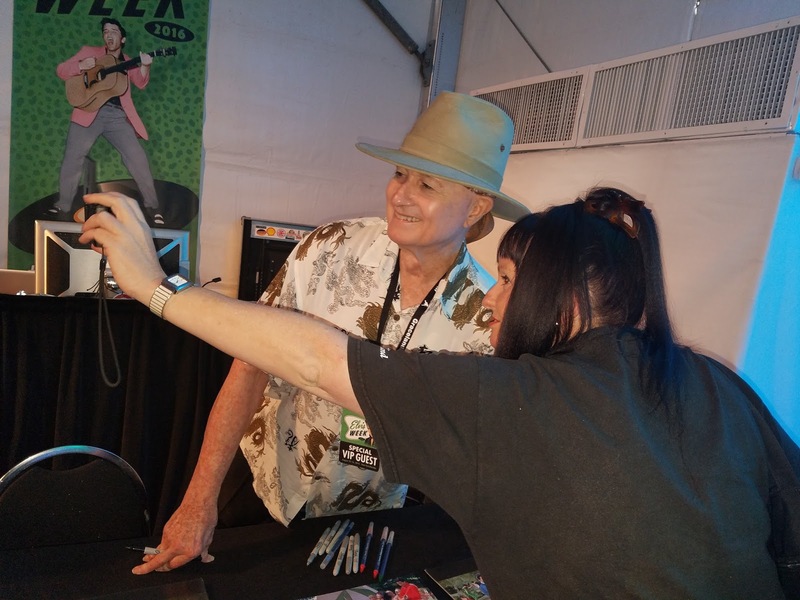 I was able to be around Elvis and I have wonderful memories of him, this year, I couldn’t go up. 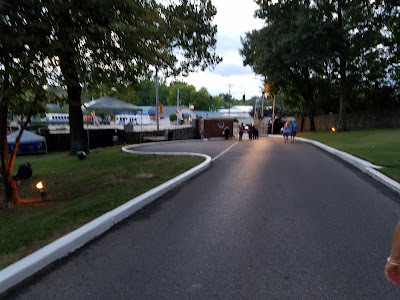 The last time I went inside Graceland was around 2001, I was with other friends of Elvis’s, Sam Thompson and Richard Davis, we were on a VIP tour. Maybe I will go next time. Shantay Wood with friend, D.J. Fontana. Elvis represents many things to many people. 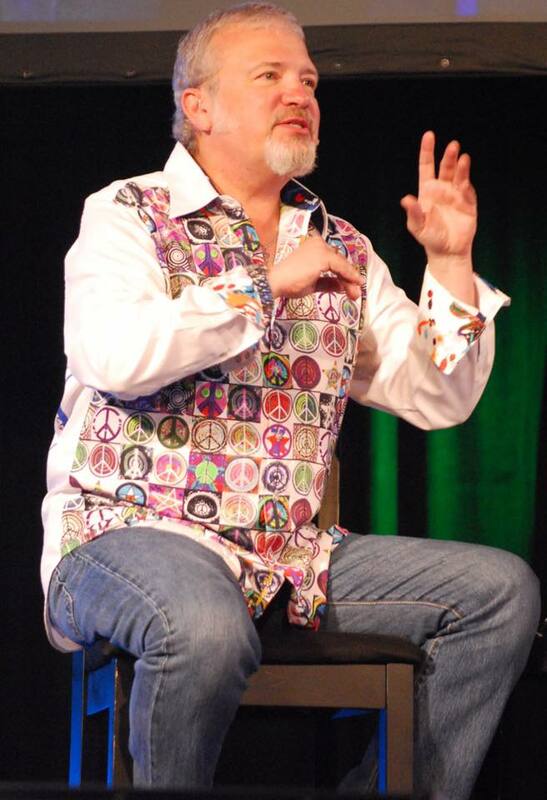 Bob Dylan said of Elvis: “Hearing him for the first time was like busting out of jail!” Ken Andrews, founder of the South Bay Music Awards said of Elvis:” Elvis defined the word, “Swag” man. And he always had chicks, beautiful chicks!” Rock star Robert Plant: “He was just amazing and spectacular. He really opened the door to my whole love of music. Because of him,, and because of the choice of his material, I found Smiley Lewis (and) all of those great singers.” I will share more quotes from performers, friends and fans in upcoming installments of this series and will explain why Elvis still lives nearly forty years after his untimely death. 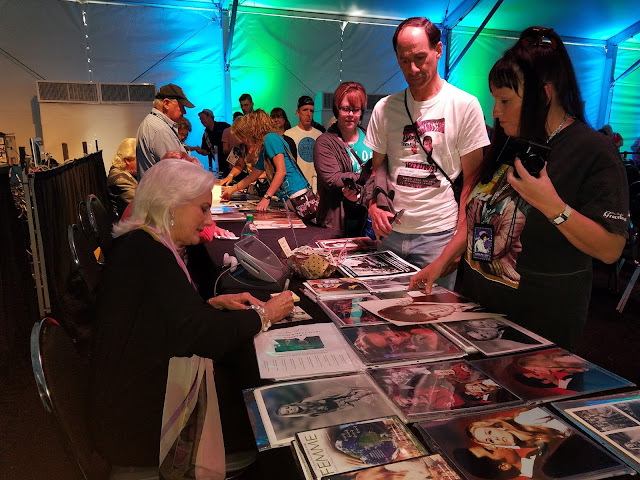 The events at Graceland kept the fans busy this year. The complex that the fans have known will be gone by the time they come back in April 2017. There will be a total revamping and a new state of the art complex will be built, actually it has already started. No more tents for the main stage, next year will be the big year, in more ways than one. Fans are conflicted, not everyone likes change, but many are looking forward to the changes. 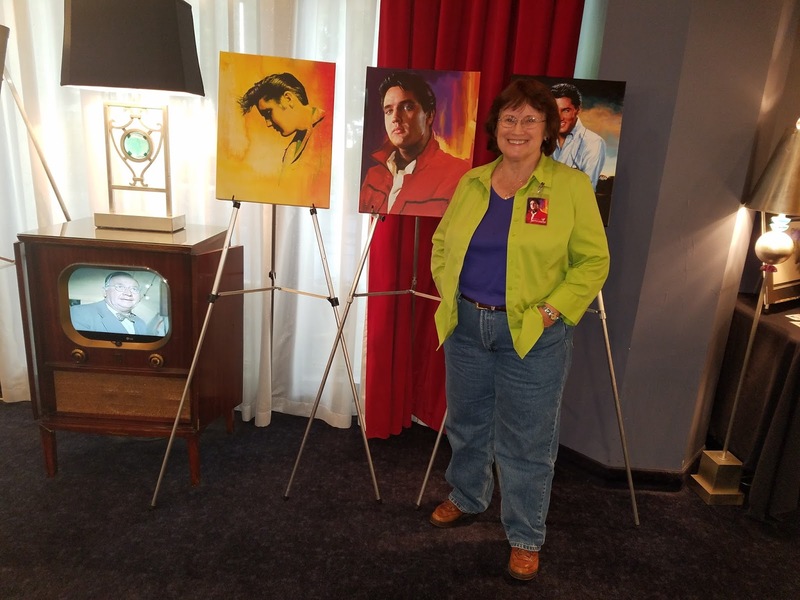 It will be sad to see the Heartbreak Hotel go, but the Guest House is the new baby of Elvis Presley Enterprises and hopes are high for the success of the new hotel. The price of the hotel is steep and many fans can’t afford it. The question is how will they ever keep it filled year round and not just during Elvis celebrations.I will keep you posted. Tom Brown, formerly of Turner Classic Movies is a likable and engaging host to Elvis events during Elvis Week and also on You Tube, in the series, “Gates Of Graceland”. Brown is very popular with the fans and is perfect for the job. 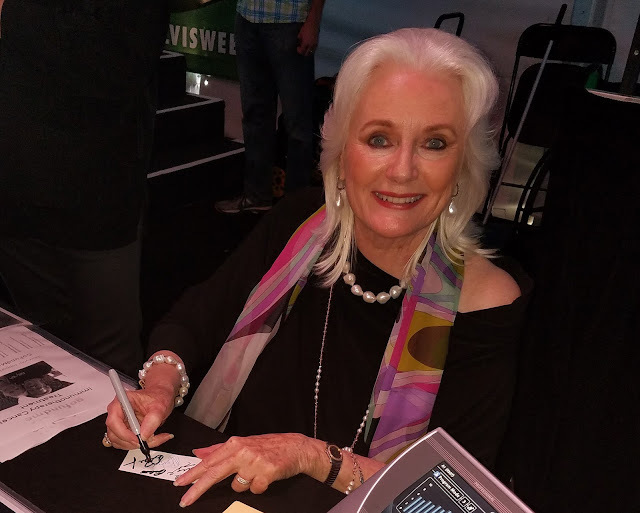 This years roster of guests for “Conversations On Elvis” included Elvis’s movie co-star Celeste Yarnall, she appeared with Elvis in the 1968 M-G-M film, “Live A Little, Love A Little”. 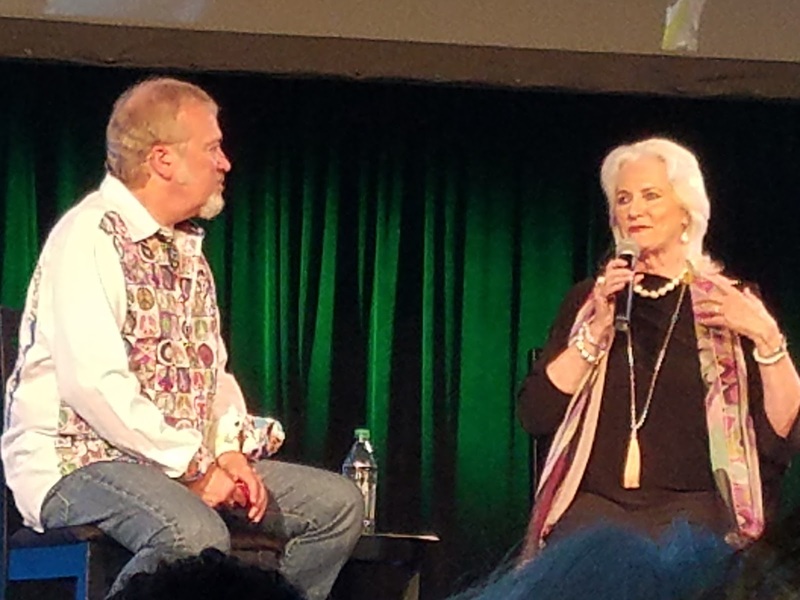 Yarnall told Elvis that “A Little Less Conversation” (the song he sang to her in the film) would be a number one song. She was right, but the song wouldn’t hit number one until it was released as a single in 2001. Ms. Yarnall became emotional talking about Elvis, you could tell that even though these memories from 1968 were long ago, they stayed with her and they remain to this day. Celeste has always been a fan favorite, and this appearance was no exception. She spoke of her bout with cervical cancer and thanked the fans for their support and encouragement. Yarnall happily signed 8×10’s for the fans and even a t-shirt, in which she liked. Warren Berlinger was also on hand, Berlinger portrayed ‘Phillip Short’ who was Elvis’s rival for Shelley Fabares’s affection in the 1966 M-G-M film, “Spinout”. 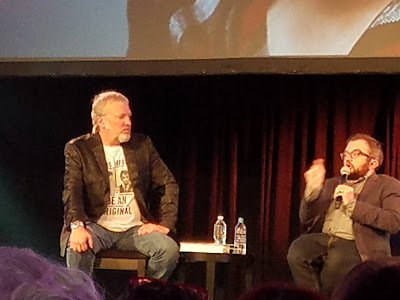 Berlinger said that many fans felt like they already knew him after seeing him with Elvis for so long. It was apparent, he was right. 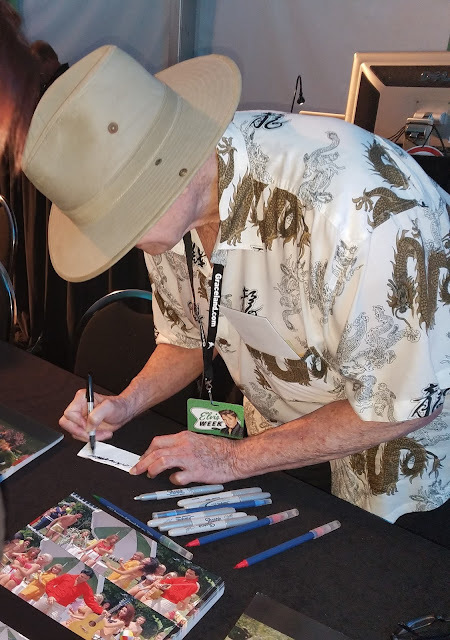 After his appearance he signed for waiting fans in line for autographs. 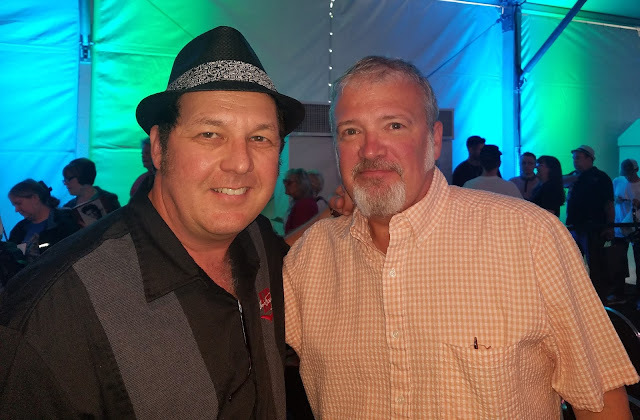 Tom Brown with actor Warren Berlinger. 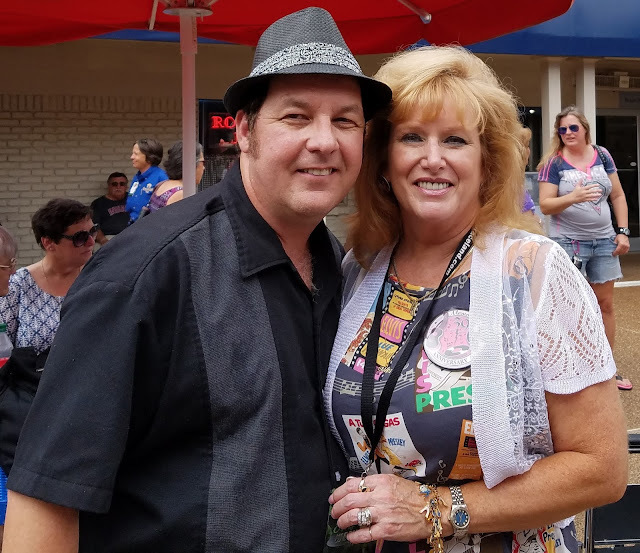 Christopher Riordan meets Australian Elvis fan Heidi Sargent. Christopher Riordan, a dancer and actor (discovered by Hermes Pan and Fred Astaire) appeared for the first time at a Elvis Presley Enterprises event. 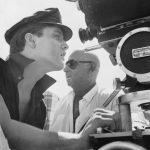 Riordan appeared in eight Presley films, dancing in the background, usually close to Elvis in scenes. Riordan also danced in the NBC-TV special “Elvis” in 1968. 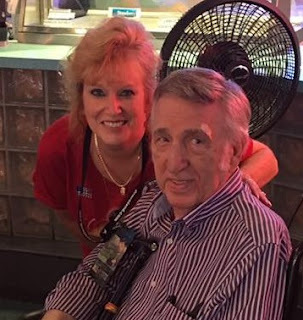 Hen told of how he met Elvis and continued to be called for work on Presley movies. I ran into Christopher just after his VIP tour of Graceland, he was with Graceland Archivist Brian Johnson. 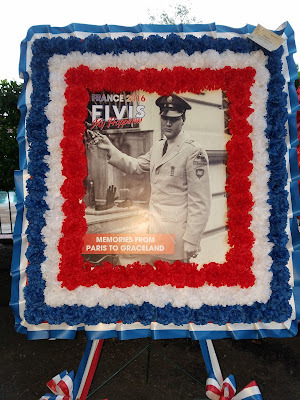 Riordan teared up after he talked of touring Elvis’s Graceland home for the first time. Brian Johnson, Christopher Riordan and Don Wilson. Tom Brown with dancer/actor Christopher Riordan. 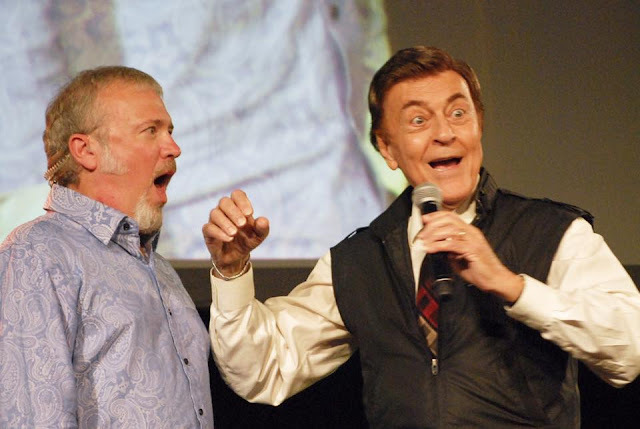 Ray Walker, the bass singer for The Jordanaires gave a singing lesson to Tom Brown and explained how he coached Elvis to hit those big notes. For example: The song “Surrender”. The last two words, “to me” were sung operatic. Walker told Elvis to act as if he were to throw up and pull those notes up. It worked, obviously for Elvis, whose single skyrocketed up the charts in 1961. Estelle Brown, the last of the original Sweet Inspirations, looked radiant and was very engaging to Brown and the crowd, as she remembered Elvis. The Sweet Inspirations were Myrna Smith, Sylvia Shemwell, Estelle Brown and Cissy Houston (Whitney’s mother) Houston left the group in 1970. Brown spoke of Elvis fondly. 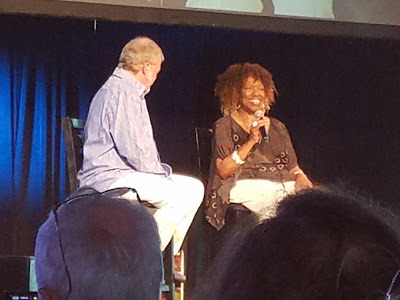 She spoke of how The Sweet Inspirations were surprised when Elvis broke out into their signature song, “Sweet Inspiration” one night in Las Vegas. Tom Brown with Estelle Brown of “The Sweet Inspirations”. D.J. Fontana, Elvis’s legendary drummer from 1955- 1968 attended the event and spoke of the touring days of the 1950’s with Elvis. Fontana was also awarded a Musical Note award that will be on Beale Street in Memphis. Fontana joined Elvis after the Louisiana Hayride and last played with Elvis on the NBC-TV special, “Elvis” in 1968. 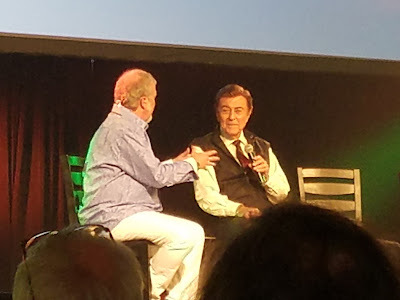 It was fascinating to hear Fontana tell of making films with Elvis as well. Drummer D.J. 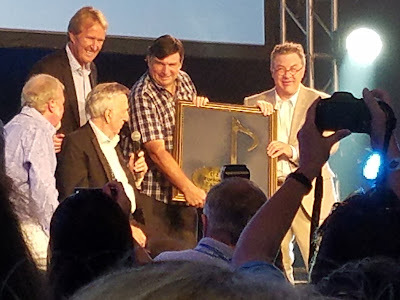 Fontana is awarded a Musical Note award. Actress Francine York, who appeared with Elvis in the 1965 film, “Tickle Me” was unable to appear due to her battling pneumonia in a Los Angeles hospital, thankfully she was released days ago. 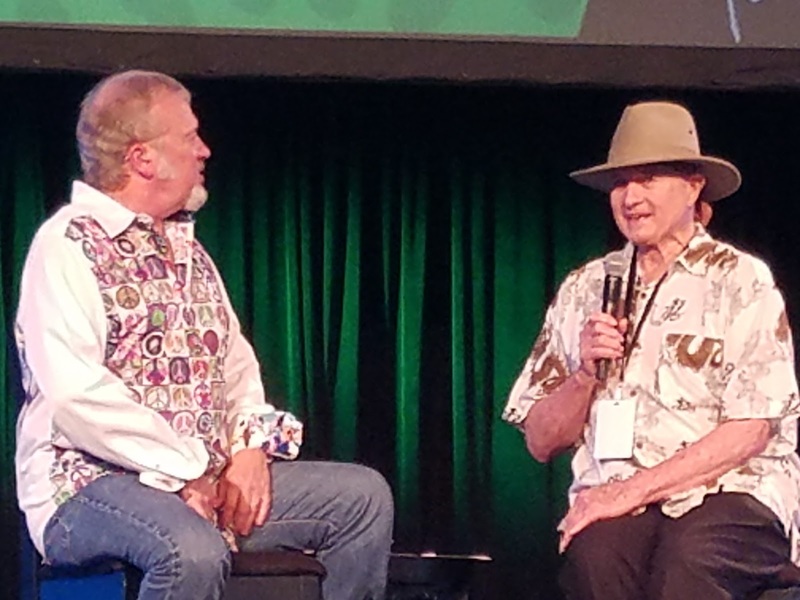 Her absence was filled by Donnie Sumner and Bill Baize, two members of The Stamps Quartet that backed Elvis from 1972-1977 on stage. 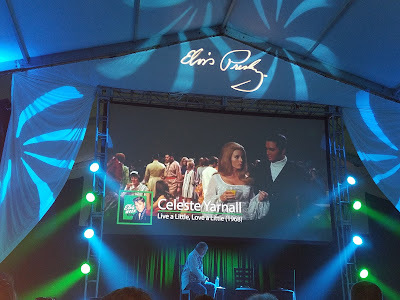 A clip from the film “Elvis On Tour” The Stamps Quartet performing “Sweet, Sweet Spirit” was projected on the large screen, shown in it’s entirety. 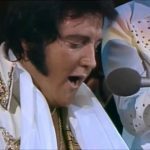 Elvis loved Gospel music and this song was a favorite of his. Author Peter Guralnick spoke of his friendship with Sam Phillips: The Man Who Invented Rock And Roll is an excellent biography of “The Father Of Rock And Roll”. 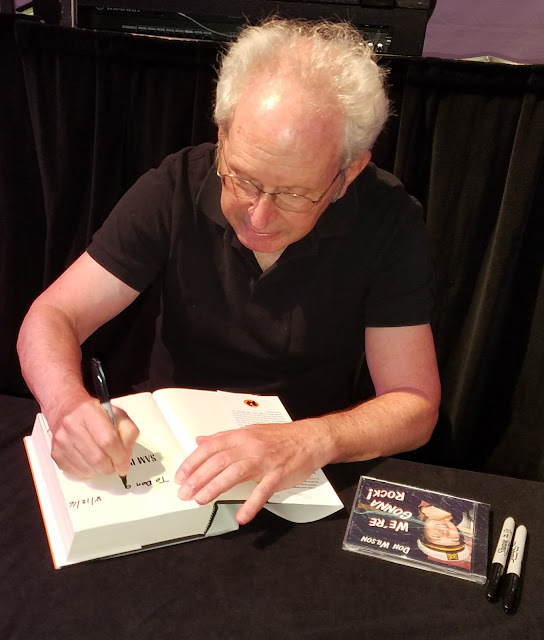 Guralnick signed copies of his book, following his appearance, which featured rare video of Phillips. 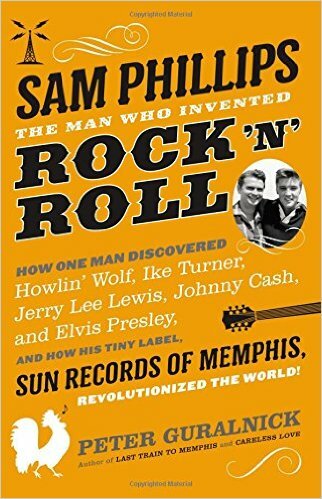 Guralnick is a favorite author for Presley fans, he penned the hit books, “Careless Love” and “Last Train To Memphis”. 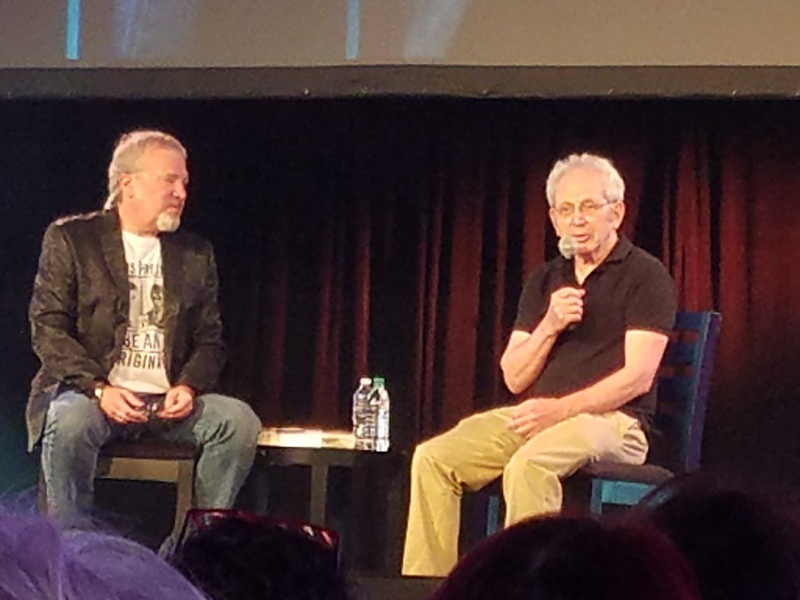 Tom Brown with author Peter Guralnick. 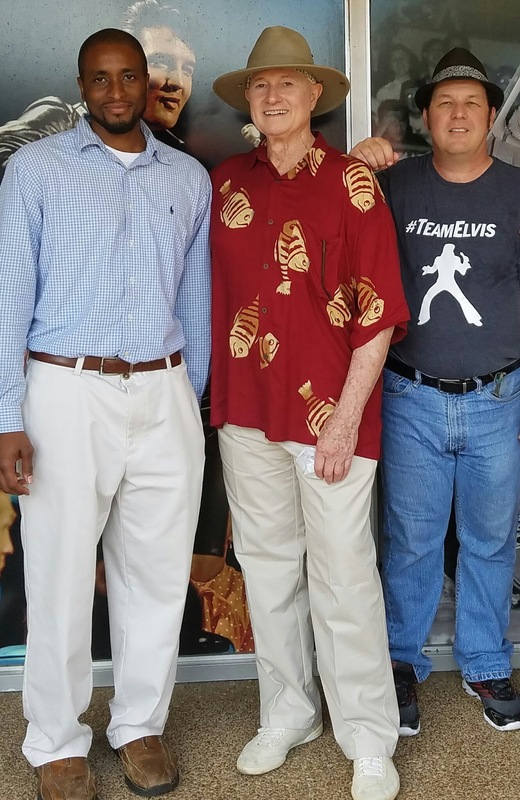 Other notable guests included Hal Lanksy of Lansky’s, where Elvis bought many of his clothes, Dr. Charles Hughes, Director of the Memphis Center at Rhodes College and professor for the course there entitled Elvis Presley and America. Tom Brown with Dr. Charles Hughes of Rhodes College. John Jackson and Ernst Jorgensen of Sony/BMG appeared and spoke of Elvis music catalog and projects, including the new release on CD and vinyl, “Way Down In The Jungle Room”. The news is that the album is moving right up the charts and is outselling the new album, “The Beatles Live At The Hollywood Bowl”. It’s almost as if it’s 1965 again with Elvis and The Beatles on the charts, vying for the top position. Tom Brown interviews Ernst Jorgensen and John Jackson. Brown interviewed the TCB Band as they came back to the den of Graceland where Elvis’s last two recording sessions were held. The video shot inside Graceland was shown to the “Graceland Insiders”.Elvis never called the den ‘Jungle Room”, but it caught on and you gotta admit “way Down In The Jungle Room” is a great title. The first disc are the master recordings from the February and October 1976 sessions, the second disc is the fun one, with Elvis’s banter with the musicians included,. as well as some humorous ad libs. 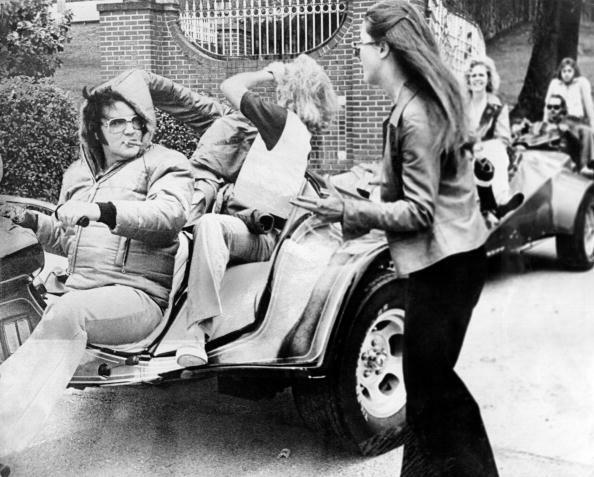 Elvis pictured at Graceland in February 1976, holding his current hit album. The only complaint for the events was that one security guard rushed the fans too much. I learned that there are two different division of security. Security for Graceland and also a team for events. 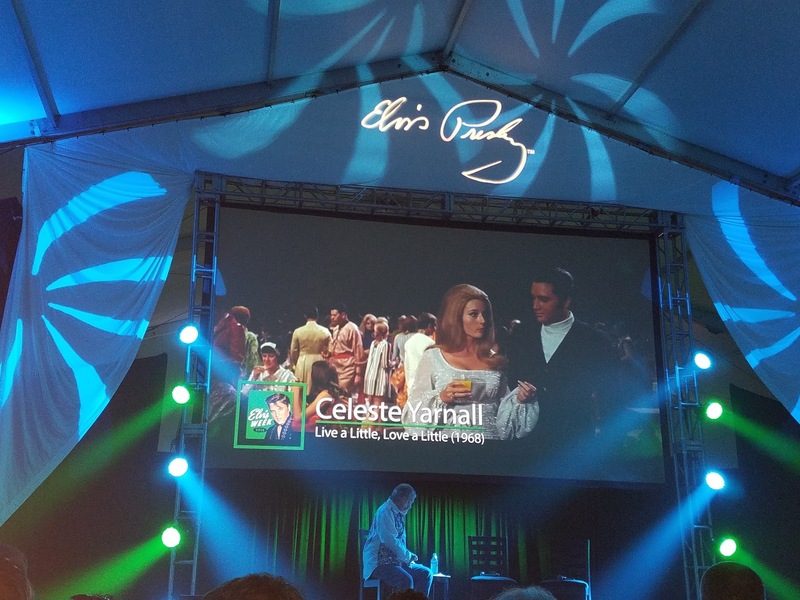 During an event in the tent (the Elvis Main Stage) it started to pour rain, it eased temporarily. Using the opportunity, some fans left with a wristband to their cars to retrieve umbrellas, but were unable to return to the tent. 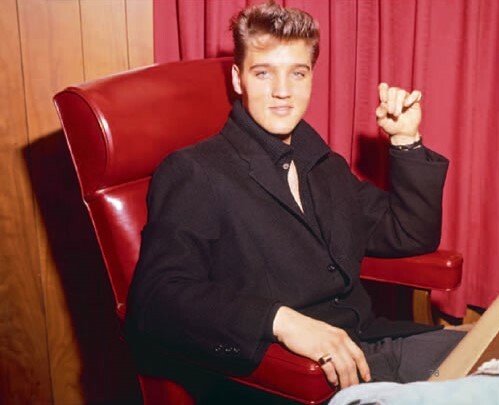 A female security guard refused re-entry saying ‘The event is over.” It was clearly was not over, a long line snaked around in anticipation of meeting Elvis’s friends and co-stars. 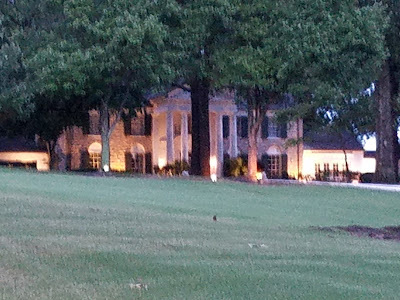 In contrast to that event, other Graceland employees were very polite and helpful to fans. Some employees handed out “Elvis: Way Down In The Jungle Room” fans to help fans beat the heat and humidity. The weather was very unusual for August, heat, humidity, then rain and back again. 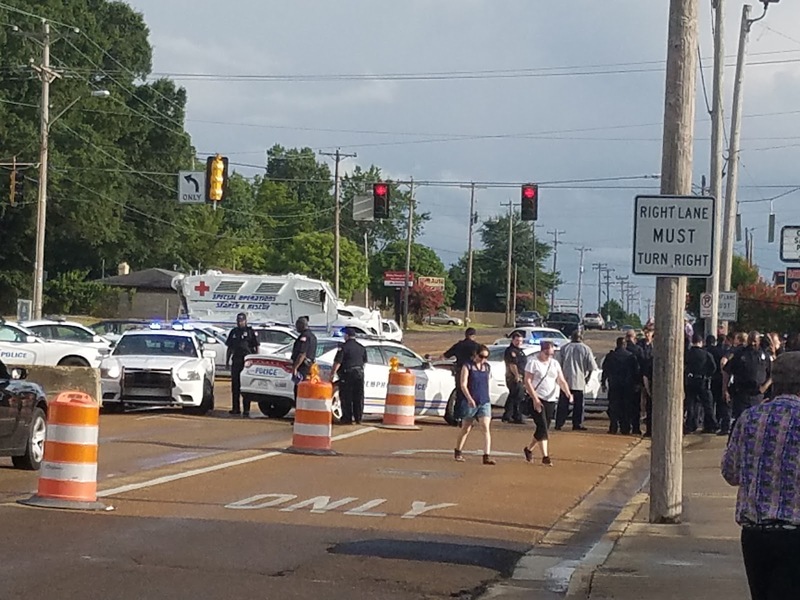 I spoke with a Graceland security officer and he said that everyone would be safe and there would be no problems. 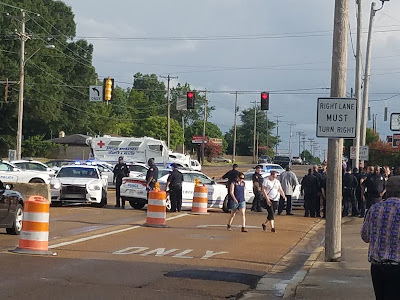 He was right I commend the Memphis Police Department and Graceland Security, they performed to the best of their abilities and I thanked them personally, I was not the only one.The Memphis Police Department cordoned off and blocked off both sides of Elvis Presley Boulevard and prevented protesters from coming on the property. 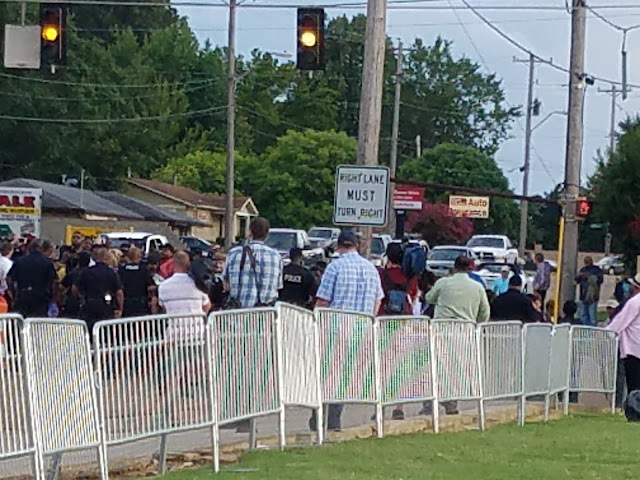 The protesters were not in a great size and there were few arrests. 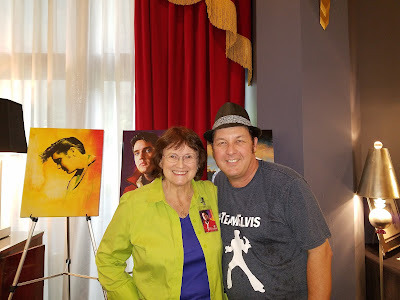 I was talking with Elvis fan Sherry Evans from Indiana midday and we spoke about the protesters and what she thought about it and she said to me: ” I believe Elvis will do something about that. There will be a lightning bolt coming down or something!” She was right on the money, it didn’t come off the way the protesters had planned the event to be. 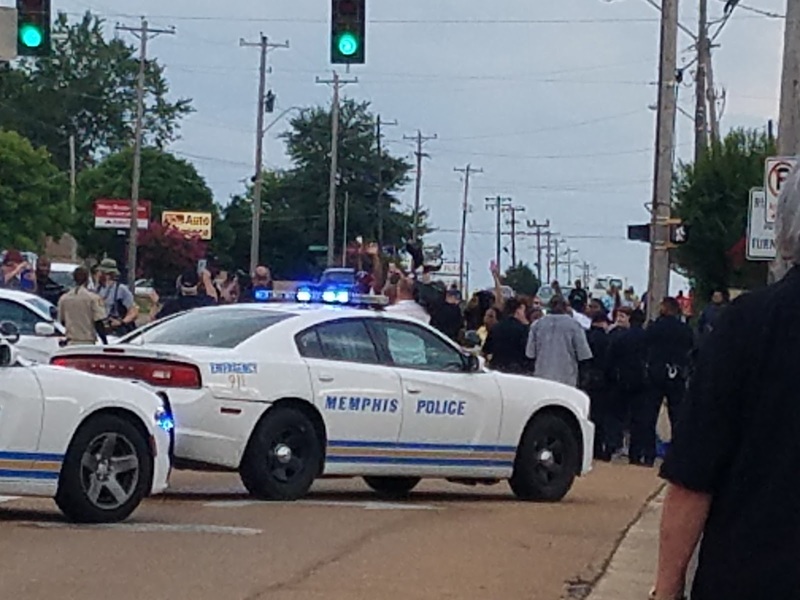 Even Rush Limbaugh spoke on his radio show about the protesters: “Graceland has nothing to do with it”, meaning their cause. It was only because the press was on hand. The Memphis Police block protesters on August 15, 2016. It was a rainy Candlelight Service for Elvis, no special speakers, except Sirius XM DJ Argo Memphis who is the usual host. Jack Soden, CEO of Graceland spoke about the new Guest House Hotel that was built near Graceland. 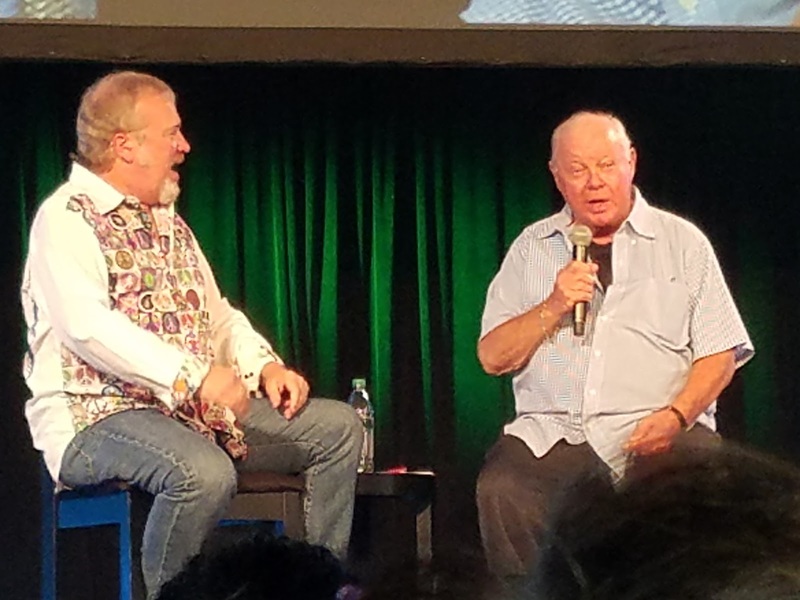 Singer Terry Mike Jeffrey spoke of meeting Elvis in 1969 and his friendship with Presley aide, Charlie Hodge. The faithful went up the hill with candles remembering the man they’ve loved for so many years. The crowd usually stayed long after the vigil in years past, however with the downpour of rain, many fans went back to their hotels, others met with one another and continued shopping or eating together in the shops across from Graceland. 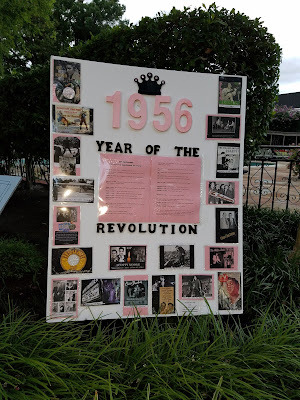 So much did happen, this is only part one of a series of why Elvis still lives! 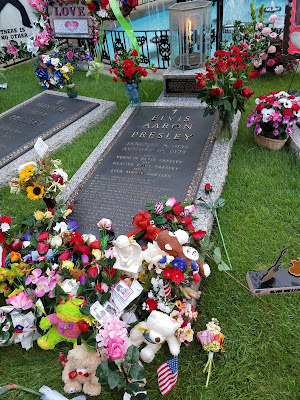 Elvis’s final resting place at Meditation Garden, Graceland. Betty Harper and Don Wilson with some of Betty’s marvelous work. 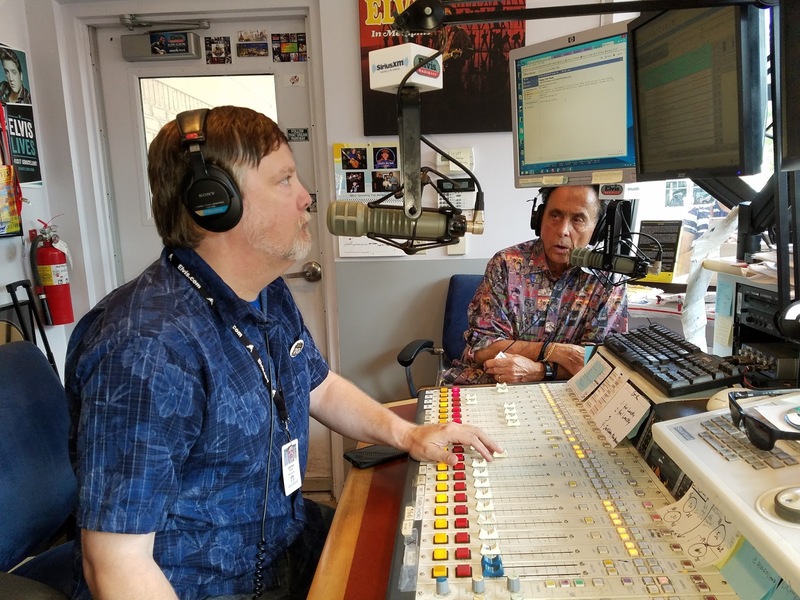 Don Wilson and longtime friend George Klein in the Sirius XM studio. 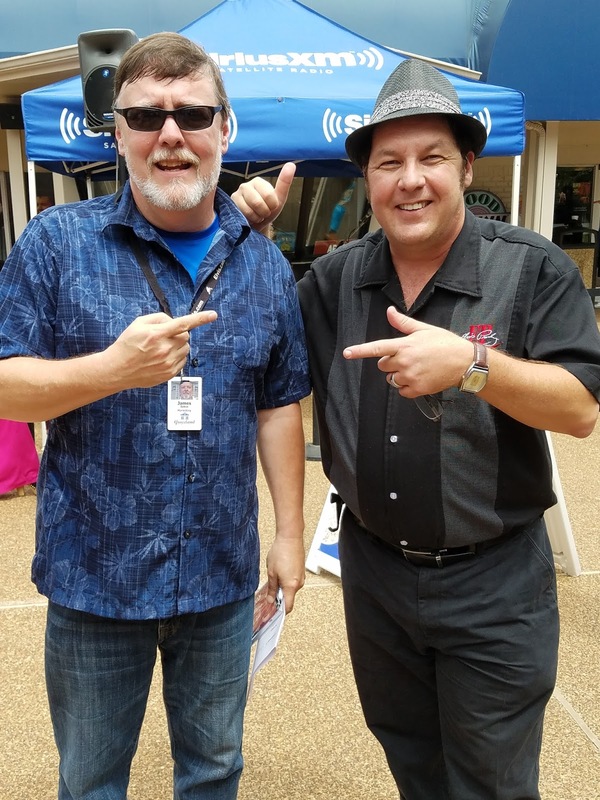 Big Jim Sykes and Don Wilson at Graceland Plaza. Looking back on Memphis and being away for awhile, I still feel like I am there in a way. Memphis was home to me for many years and I do miss being there. In some ways it’s the same, in other ways so different. Of course, it will never be the way it used to be. There’s a certain smell in the air, although it’s different somehow from the days that Elvis was living in the city. 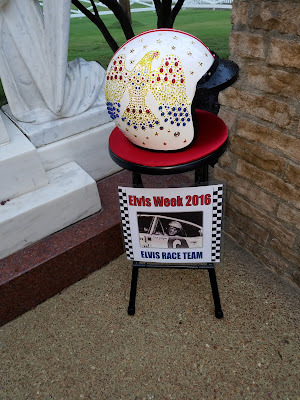 As I revisited the city, I could almost imagine Elvis where I had seen him before barreling down Elvis Presley Boulevard on his three-wheeler motor bike or driving down South Parkway. I went down that street recalling Elvis driving around the tree line area of the city. I was on the way to meet my longtime friend, Steve Ramsey at a record shop. 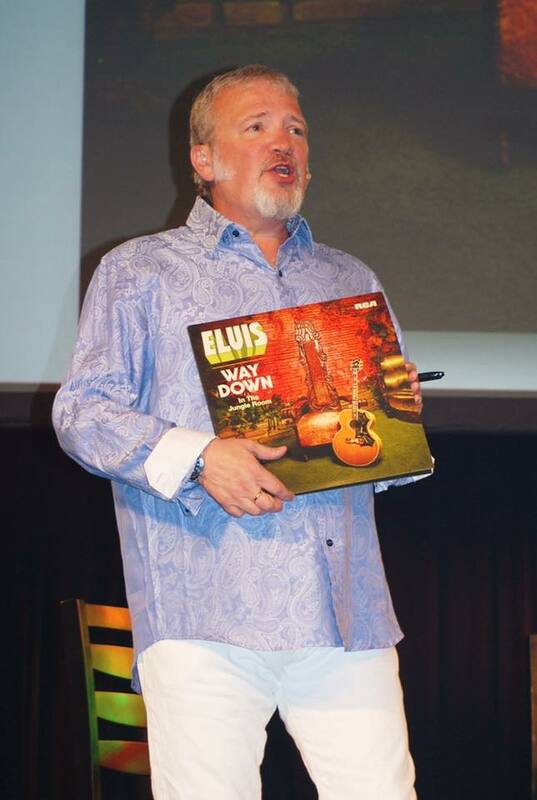 I was in search of original Elvis records to replace in my collection. After two marriages, things sometime disappear here and there. Around every corner there lurked a memory of Elvis for me, places he went, things he liked to do. There is that unmistakable energy that is still present. 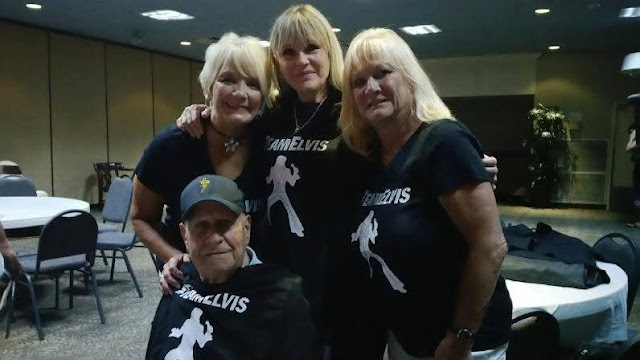 In this story, part two in a series, I want to bring to you memories and thoughts of some true Elvis fans, why they love him and what draws them to this one of a kind man. If you don’t understand the phenomenon, maybe you will, after you read these heartfelt sentiments. 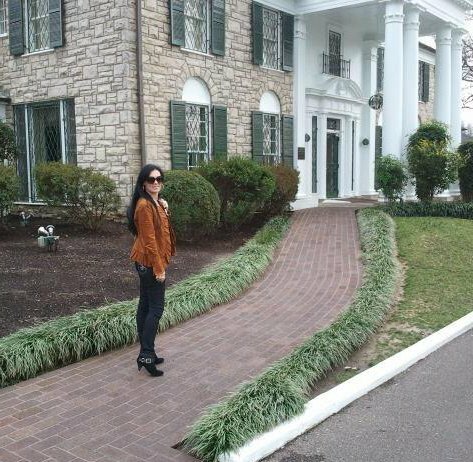 Leah Jeffreys on the walkway to Elvis’s Memphis home, Graceland. Sherry Evans, with Shirley Dieu, a close friend of Elvis’s, Charlie Shock and Elvis’s Road Manager, Joe Esposito in 2015. 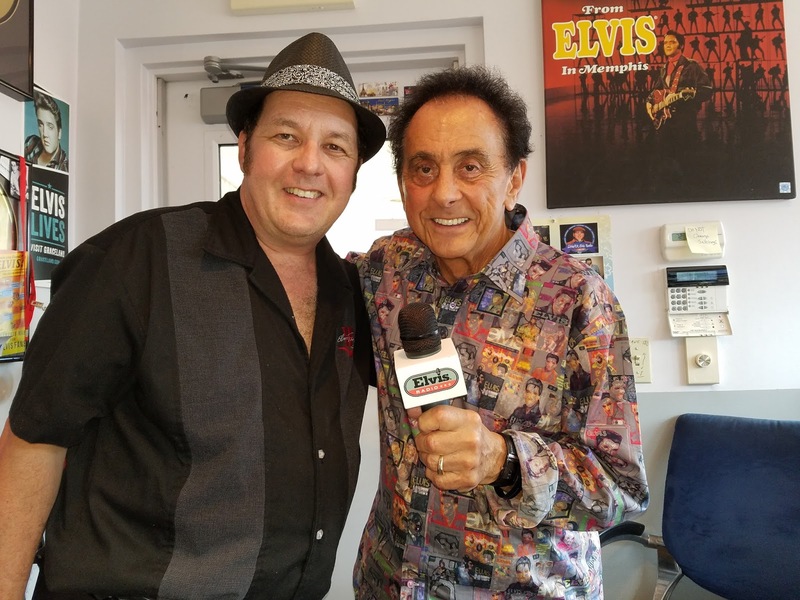 Charlie Shock: “I thank Sherry Evans for introducing me to the world of Elvis. Every year, for the past four years have been filled with wonderful memories. I look forward to our yearly pilgrimage to Memphis. We go to Beale Street to listen to the music that helped shape Elvis’s appreciation for music. I am sure that he heard every note and every word and took the styles to heart. each year we meet new people from all over the world who appreciate this man who had a heart of gold. Each memory just reinforces what a truly incredible individual he was. 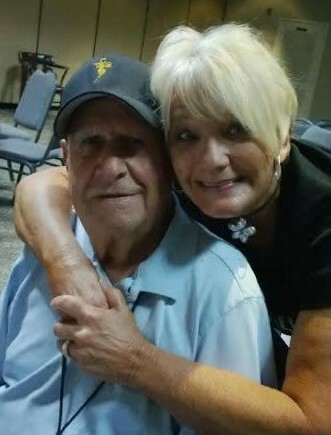 Joe Esposito and Sherry Evans in Memphis, 2015. Note: Tish Henley-Kirk was Elvis’s Nurse. Jo Cathy Brownlee-Elkington is a former girlfriend of Elvis’s. Pictures Are Worth Thousands Of Words! 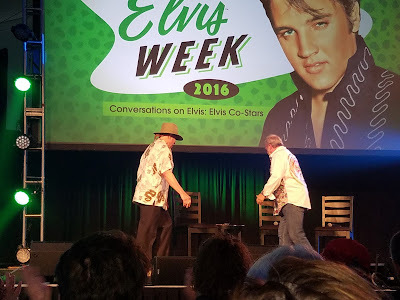 A highlight for me was the “Conversations On Elvis” presentation, hosted by Tom Brown. 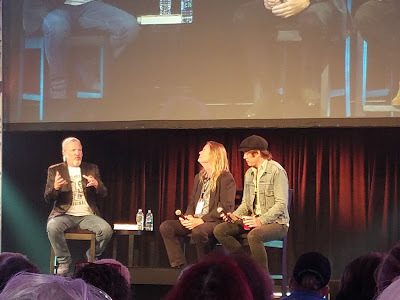 I received so many personal messages regarding part one of this story, here are some more images from the event. 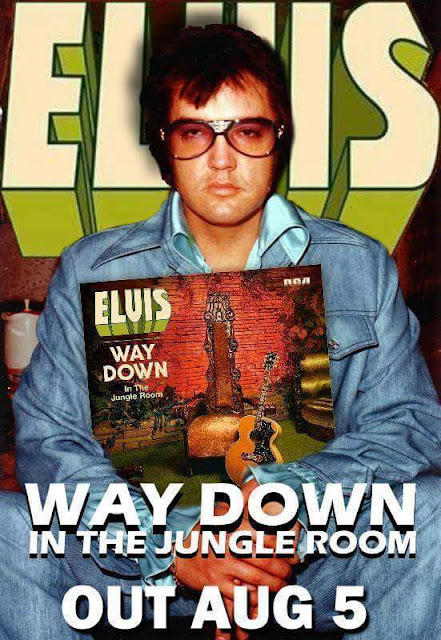 Knowledge of the true Elvis and not something written by an “Armchair Elvis Expert” is what’s truly important. These conversations are definitely something Elvis would have enjoyed. A special thanks to Shantay Wood for some of these images! Celeste Yarnall signs for the fans after her appearance on Graceland’s Main Stage. 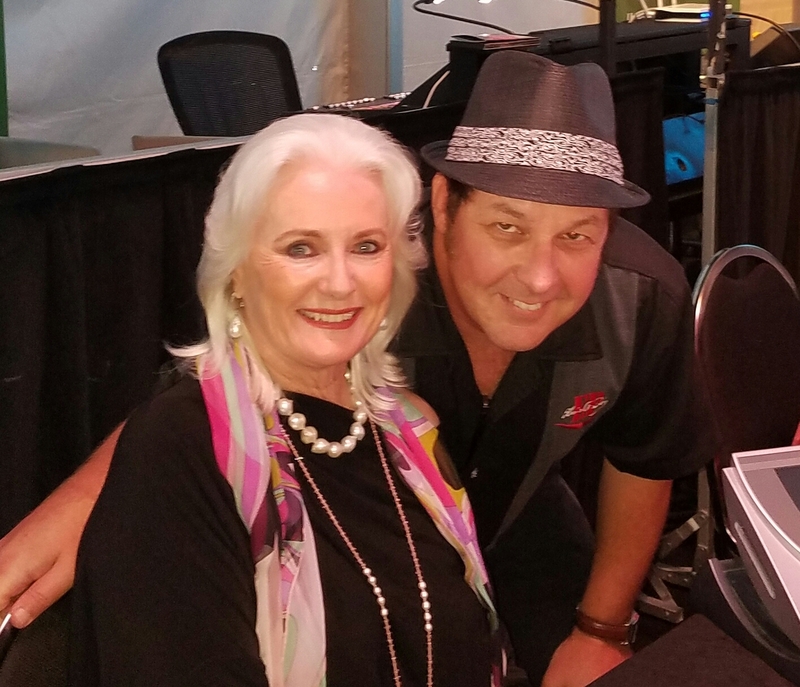 Celeste Yarnall and Elvis fan/Photographer Shantay Wood. Author Peter Guralnick signing his Sam Phillips biography. Peter has good taste in music with Don Wilson’s CD! I took nearly 500 photos during the events, you may say, “How can anyone do that?” It’s simple. You can get caught up and it is very easy to do. I have culled the very best and also some from Shantay Wood, a big Elvis fan and a great photographer. Since a picture can tell a thousand words, there are more in today’s story. I hope it will make you feel as though you were present in Memphis. If you have never been, I hope this article will make you want to experience it. 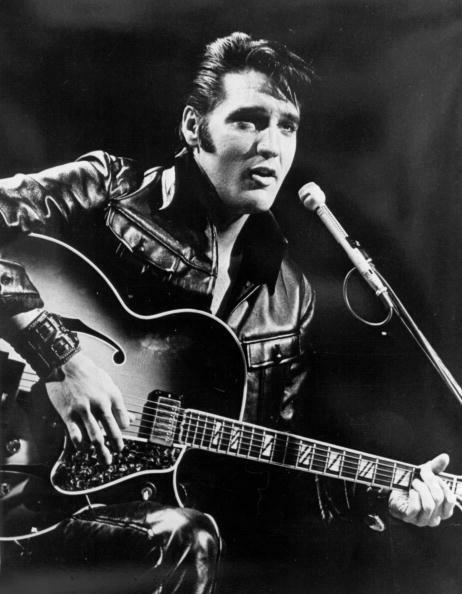 Next August is the fortieth anniversary of Elvis’s passing. You have time to prepare for and attend all the festivities. 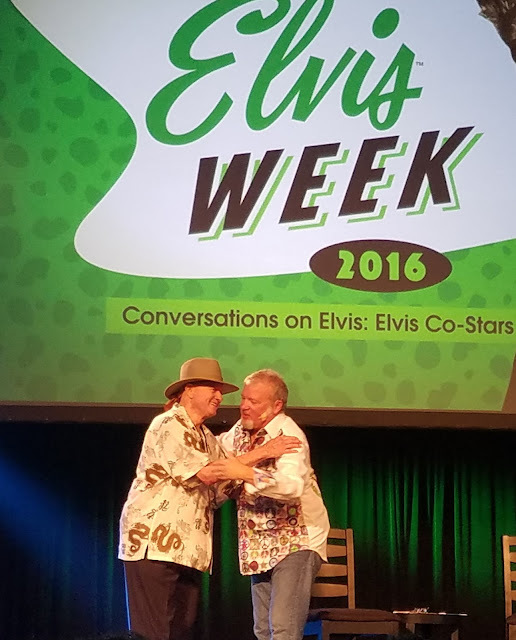 Don Wilson and Tom Brown after the “Conversations On Elvis” event at Graceland’s Main Stage. 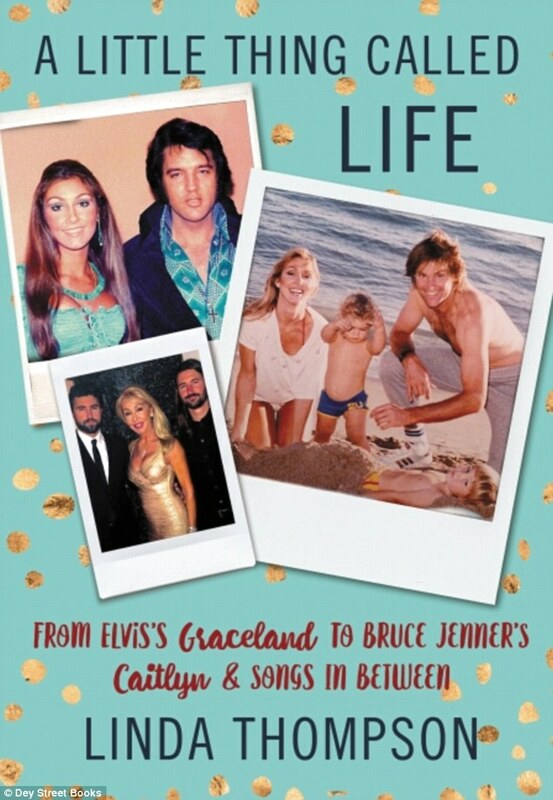 Not only does Elvis have a new album going up the Billboard charts, there are some new books that are available. I will be covering them as well. 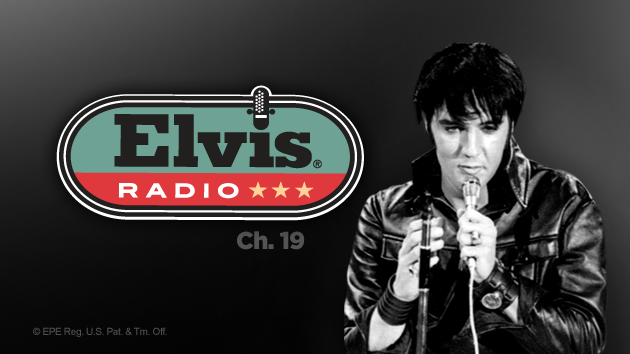 I am on the beat and will bring you some news and tidbits that you will see only here on The Elvis Beat! 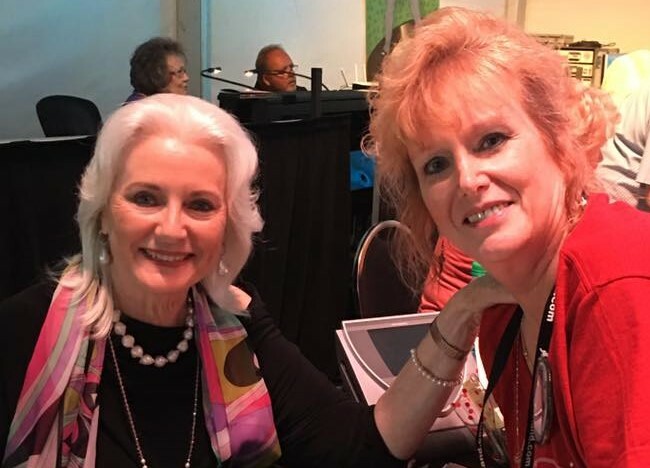 Linda Thompson’s long awaited book is now available!